Wednesday's newspapers react to Yle's new CEO, a fresh poll of party support and a plan for a new way to get to Tallinn. 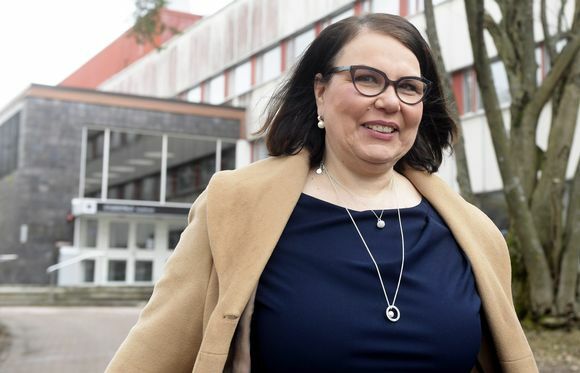 Yle announced a new CEO on Tuesday, with MTV editor Merja Ylä-Antilla set to take the reins from 1 September when Lauri Kivinen leaves the company. The papers on Wednesday all cover the story, with many focusing on Ylä-Antilla's background in commercial media, drawing a parallel with the appointment of former Aamulehti editor Jouko Jokinen as head of News and Current Affairs at the company. "These appointments all follow a certain line," professor Marko Ala-Fossi told Kauppalehti. 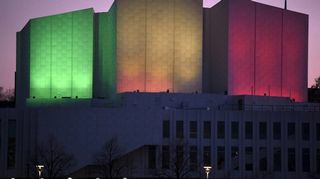 "Yle has hired people who have been at least a little bit critical of the company's operations." Ilta-Sanomat led with Ylä-Antilla's defence of the Yle tax, which is Yle's main source of revenue and has been sharply criticised by some commercial operators. KL, meanwhile, touched on the fact that Yä-Antilla will be the first female CEO Yle has had since Hella Wuolijoki left the firm in 1949. "It has been asked whether gender played a role in our decision," said the chair of Yle's board of directors, Thomas Wilhelmsson. "The answer is no. We sought the best possible CEO but we are of course very happy that we now have the first female CEO since Hella Wuolijoki." HS carries a monthly tracker poll showing a small boost in support for the Social Democrats that saw them leapfrog the National Coalition Party to become the party best supported by respondents to the poll. Although the shift is small, with the SDP leading by just 0.8 percent, docent Henrik Majander tells HS that it may reflect underlying political trends. Even though the economy is doing well, the combined support for government parties polled at just 37.9 percent--and that may be down to the government's troubled reforms. "It's pointless to think that people will vote out of gratitude," said Majander. "It's never going so well that voters say thank you. The next worry is already waiting." That worry could well be the government's plan to shake up health and social care. "Although the positive economic news offers opportunities, fear of the social and health care reform overshadows them," said Majander. "I think that the huge uncertainty around the reform affects everything." There's been much talk about the proposed tunnel from Helsinki to Tallinn, but HS reports that one Estonian company is planning a quick connection between the two capitals on the surface. The Sea Wolf Express service would take 30 minutes to cross the Gulf of Finland and the company says it would not be affected much by the weather. HS describes the vessel as some kind of boat-plane hybrid, and says it's in development by an Estonian firm. They plan 12 crossings a day at 200km per hour, and according to HS at least, Finnish transport authorities are open to the idea so long as all possible hoops are jumped through. The firm's plan is to start running services in 2019, but there's some way to go yet. The first attempt to produce a viable craft was not a success, so a new prototype is in the works. If that goes well then the company claims it can start next year.